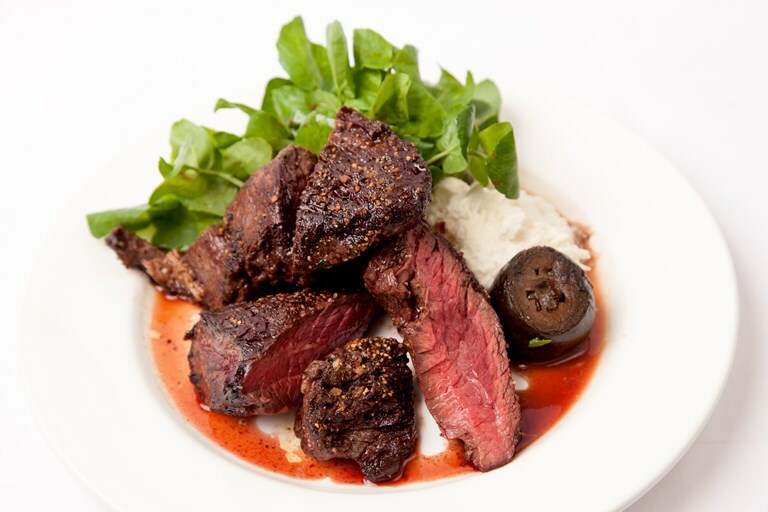 Jeremy Lee's onglet steak recipe is a fantastic way of learning how to cook steak to perfection. First rubbed generously in salt and pepper, the meat is fried lightly to form a glorious crust before being left to rest and continue cooking in the residual of the pan. With peppery watercress, pickled walnuts and a fiery fresh horseradish cream on the side, this dish is simple but impressive.